Alsatian choucroute garnie is a meat-lovers treat. An authentic recipe comes from chef Jean-Yves Schillinger of Brasserie Côté Cour in Colmar, France. 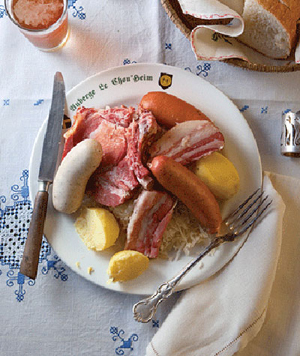 It features sauerkraut and pork baked together in dry riesling, seasoned with bay leaves, cloves, juniper and berries, while a variety of sausages like knackwursts, boudins blancs and blood sausage are prepared separately. 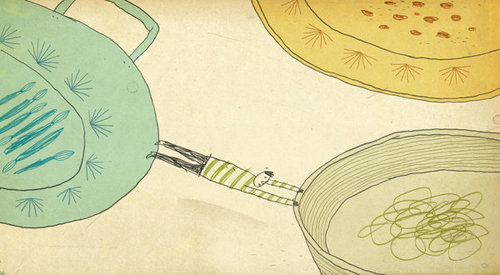 Cooking with beer brings depths of flavor to dishes both savory and sweet. The hops add bitterness, the malted grain adds sweetness, and the effervescence in beer makes it an excellent addition to batters. Is it possible to value, nutritionally and ecologically, grain-fed vs. grass-fed beef?